An interview with producer and lifestyle host Lucie Fink. 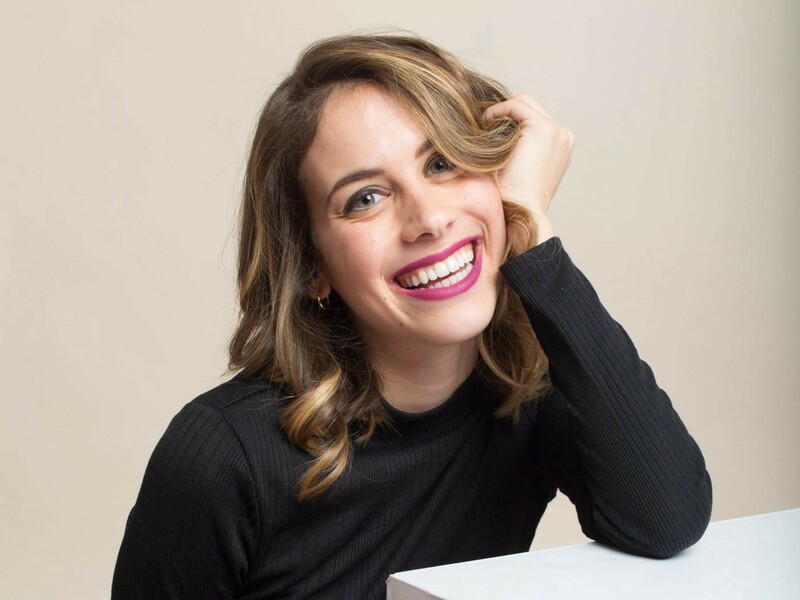 Lucie Fink is a Producer and Lifestyle Host at Refinery29, a modern woman’s destination for how to live a stylish, well-rounded life. One of Lucie’s main focuses is her show “Try Living With Lucie” where she dives headfirst into social experiments, 5 days at a time. Refinery29 is the leading digital-media company focused on women with an audience of 27 million monthly uniques on its website and a global reach of 225 million across platforms. I took the time to chat with Lucie about how she developed her role at R29, and how she has positioned herself as a thought-leader in the industry. Q: What are some challenges you faced when developing your presence? Building a social presence requires patience and dedication. On YouTube, I was insistent on sharing a new video every single week because I knew the audience appreciated repetition and consistency. The same goes for social media; my Instagram following has grown in direct correlation with my posting rate. It takes time, attention and consistency (I always say that running my personal social media channels could be a full-time job in and of itself), but even though growth is slow, it’s steady and ultimately pays off. Early on, I thought that creating a video a week was going to burn me out. I pushed on until I had built the audience I needed, and then I was able to slow my pace a bit. Taking a step back, regrouping creatively and pushing out content at a slower pace seemed to be the best move; the audience was then craving new “Try Living with Lucie” episodes and was anxiously awaiting their release like their favorite TV show. Q: As a thought leader, how important has flexibility been in developing your presence/voice? Flexibility is SO important; I am always engaging with my audience, asking what they want to see, taking their suggestions and incorporating their ideas into my next video. This dialogue has led to some large changes that wound up enhancing the content’s performance. For instance, my audience started asking me to make my videos longer. At first, I was reluctant…I thought, the shorter and more concise the video, the better. But they wouldn’t stop asking me for longer content. Eventually, I listened and started making the videos, on average, two minutes longer. The payoff was immediate. Longer videos received higher engagement and more viewing time than shorter videos. I’ve been comfortable on camera since I was a little girl, and I’d been keeping a running list of video formats that I wanted to produce and host since college. The ‘spark’ came when I joined Refinery29 in September 2015. The video division was just starting at the time and there were virtually no rules. Our team was working quickly to carve our path in the digital media space, and I was given the freedom to pick one of my dream series and make with it whatever I wanted. I try to fully unplug on the weekends and I make a point of cooking something fun for dinner each week. That’s my time to CHILL and relax! It’s tough when the lines between work and play are so blurred (in some ways, posting on my social media — which most would consider ‘play’ — is still work for me). But I never take myself too seriously and I always have fun with it. 5. What is your best tip for people looking to get into this space? First and foremost, make sure you’re comfortable on camera and confident in yourself and your abilities. The internet can be mean at times, and making sure you’re okay with negative comments is strangely a very important part of this role. Next, keep on creating your own content. The digital media space is very ‘do it yourself,’ so being comfortable with all aspects of production (writing, hosting, shooting, editing) is a big help!